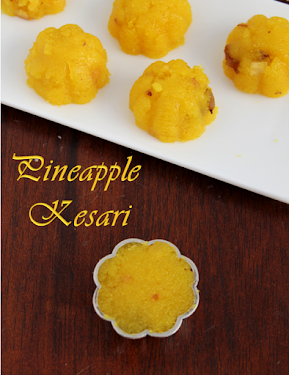 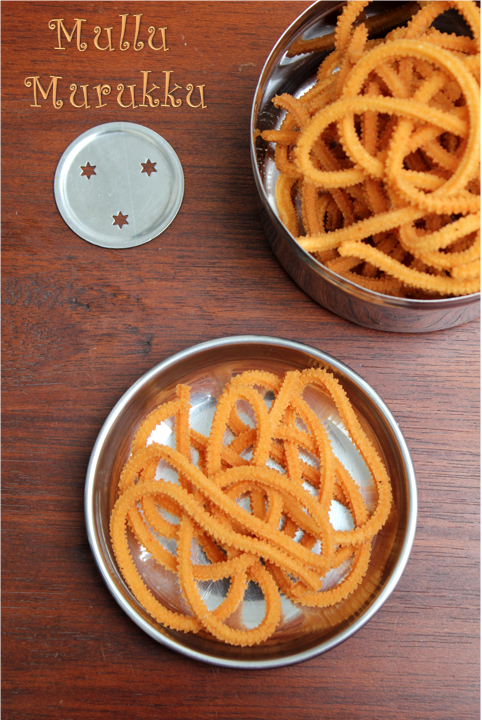 During festival time my house used to be so busy the maid used to go to the flour mill everyday to grind some murukku mavu for my mom.Now a days there are lots of things conveniently available in the stores.I made this easy Mullu Murukku version.It is one of my favourite murukkus because it is a little spicy than the normal thenkuzhal.It is a easy murukku made during diwali time and of course it is a perfect snack at tea time. 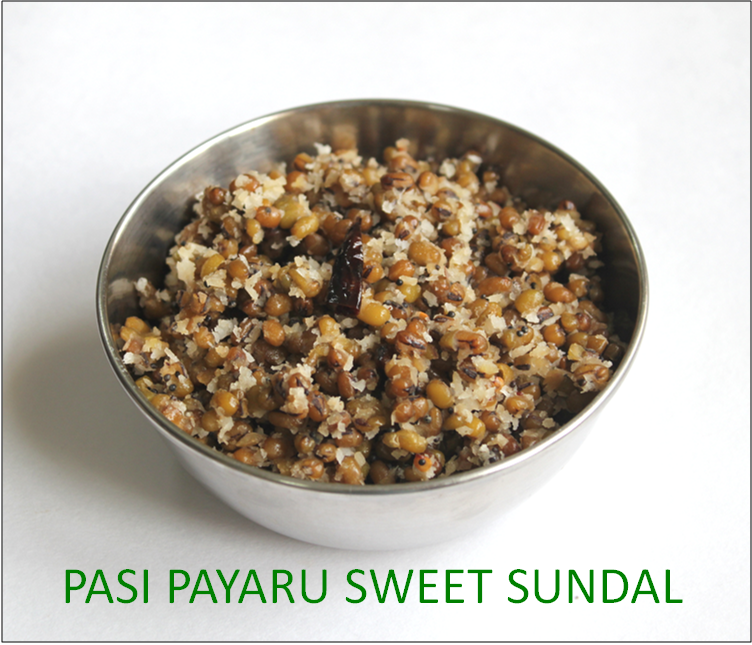 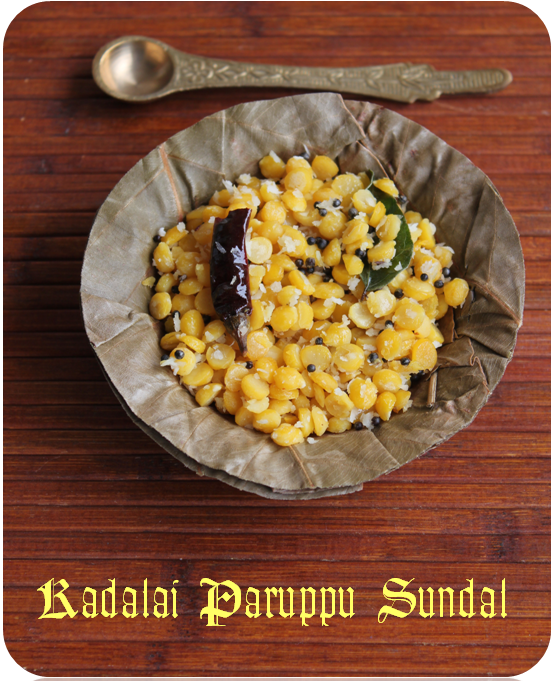 Today being first day of Navrathri I decided to make Mochakottai or Mochai paruppu Sundal.I didn't know the order in which sundal has to be made which day which sundal but coincidentally first day of Navrathri you make Mochai paruppu sundal.Sundal recipes are very easy to make if you only you plan it a little earlier.I soaked the mochai paruppu the previous night itself and then pressure cooked it and prepared the Sundal for neivedhyam. 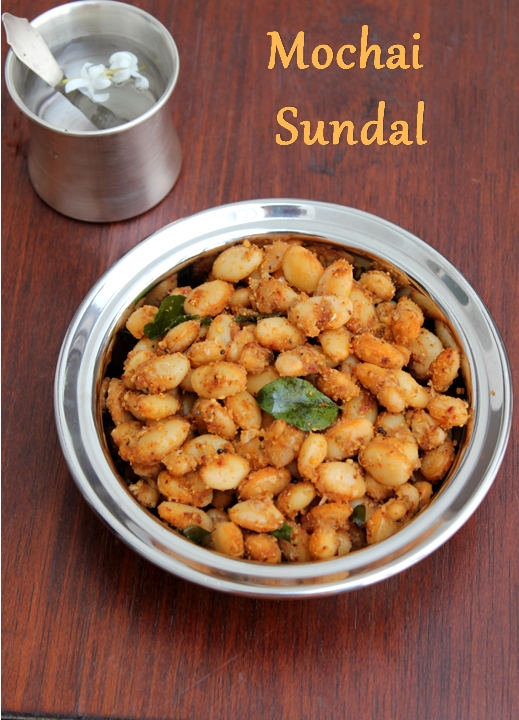 Navrathri is approaching I thought let me post some Sundal Recipes.I have already posted two other varieties of making sundal(sweet and masala).This type is quiet easy and simple and does not require too much time.You can make almost all the pulses in the same way except that the soaking and cooking time varies according to the dal.